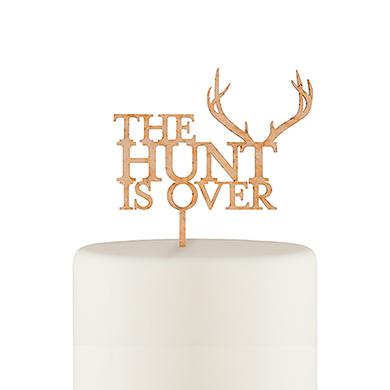 Celebrate your special day and “dear” season with this unique cake topper featuring a rustic antler motif to create a subtle woodland vibe. 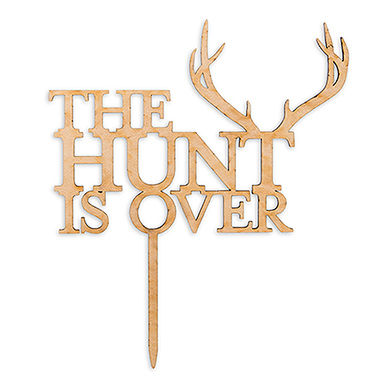 Carved from authentic maple wood laminate, this tongue in cheek topper will show your fun side and celebrate the fact that the hunt is finally over. The stem slides easily into any cake to complete your dessert table display.